So, we all know Marvel produces amazing movies like “Thor”, “Avengers”, “Iron Man”, “Hulk” and so on and so on. These are all movies that you would take your family to see and the kids would cheer and laugh, wishing they were these amazing superheroes. Let me be the first to warn you, “Deadpool 2” is not a family movie! 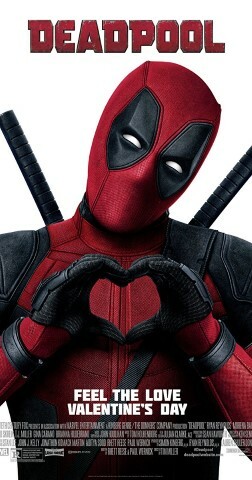 Take it from me, I tried to take my teenage daughter to “Deadpool 1” and quickly changed theaters. PARENT ALERT! This movie has extreme language, violence and sexual innuendos. It is no place for kids! Now that the family warnings are over, here is a little hint of what you will see if you are of age. The who is a burn victim with a bad attitude. He tells the worst jokes whose superpower is superfast healing, which makes him indestructible. Deadpool, besides having the worst potty mouth in history is your average superhero, NOT! Not only is Deadpool a lone wolf but his moral compass does not point north. This movie shows him killing people by very graphic means. This film is not without its comedy though. If you can get past the blood, drugs, sexual innuendos, violence and language in every sentence you will find that there are a lot of pop culture refences throughout the movie. The movie also has a lot of message hidden within it. The story does promote teamwork, collaboration, love and empathy. The adults in the room will also see that people, particularly kids, can change throughout life by how they are affected by others and their environment. “Deadpool 2” is one of those movies that you find yourself laughing hysterically, but at the end of the movie the message really hits you on how you treat others affects their life choices. The main message of the movie is to treat people with kindness because you do not know how they will personally be affected.